Huawei Honor Holly 4 is an upgrade of the Honor Holly 3. 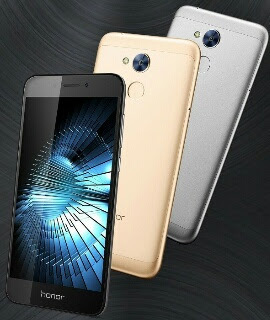 Huawei Honor Holly 4 comes with an okay specs amongs which is the 5-inch display screen of 720 x 1280px resolution, a Qualcomm Snapdragon 430 chipset with 3GB of RAM. It has 13MP back camera and 5MP front selfie camera. The Huawei Honor Holly 4 is also 4G LTE VoLTE supports and comes with an Android 7.0 with Huawei's EMUI 5.1 and also utilizes a 3,020mAh battery. Cost: Rs 11,999 in India , €155 In U.K and around N66,000 in Nigeria.